that blue ocean will be my everyday view for four days. We will be leaving on Sunday and will not be back till new year's day. I can't wait to get my feet on the water and oh how I miss the sound of the waves :) It's been a while since I went to a "real vacation" so you can guess how important this is for me. And since I will not be online during new year..I am sending you all now my new year greetings. "May you have wonderful and prosperous new year!" You and hubby just enjoy yourselves. I would love to be there and I know it's warm. I would love to be there. 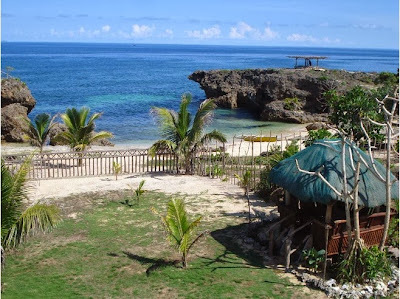 Abelle, sa Bolinao Pangasinan yan sis..ang sarap magpahinga! !